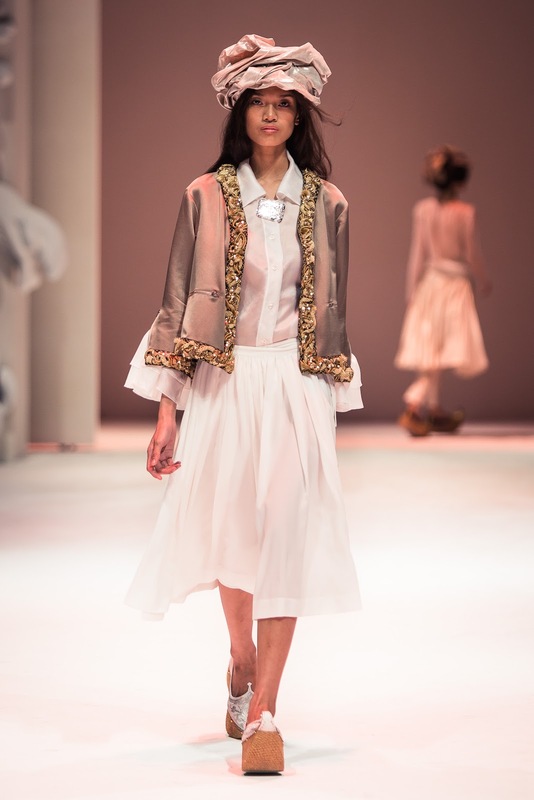 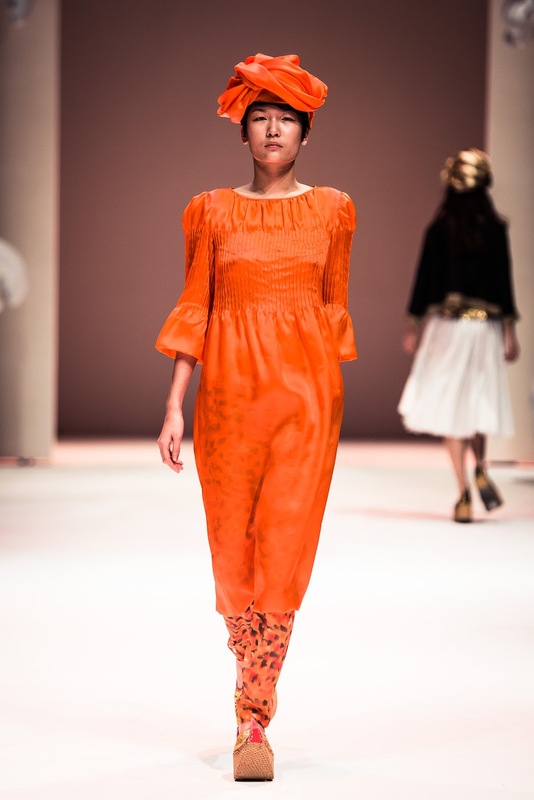 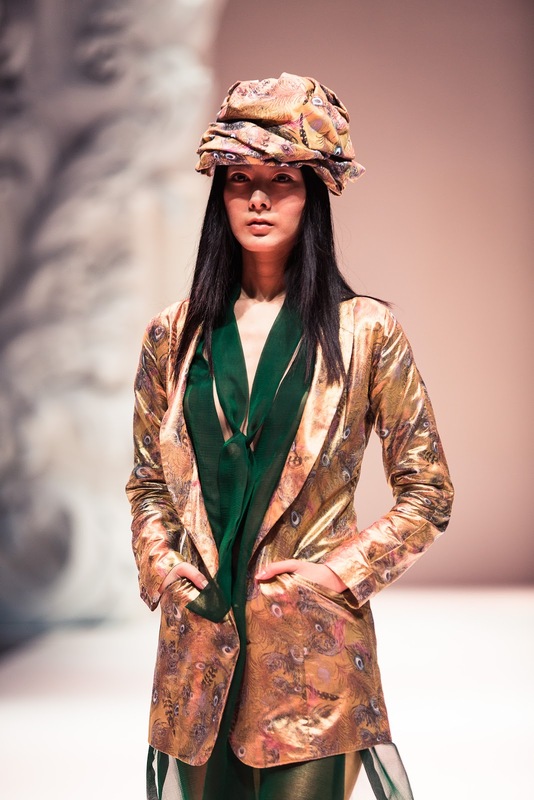 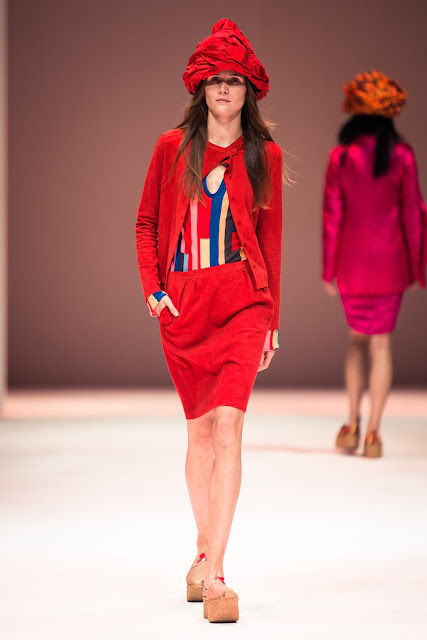 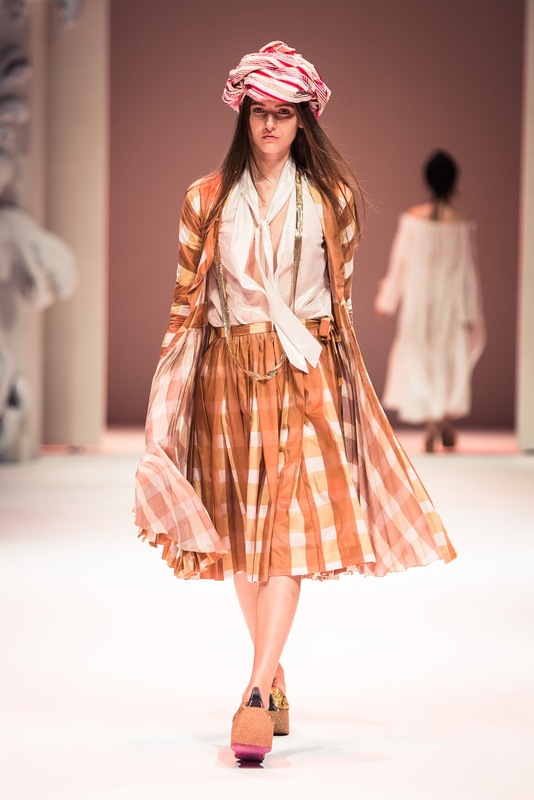 SINGAPORE - Junko Shimada, a Japanese designer based in Paris, presented her Spring/Summer 2013 collection during Japan Couture Evening on Wednesday, 28 November. 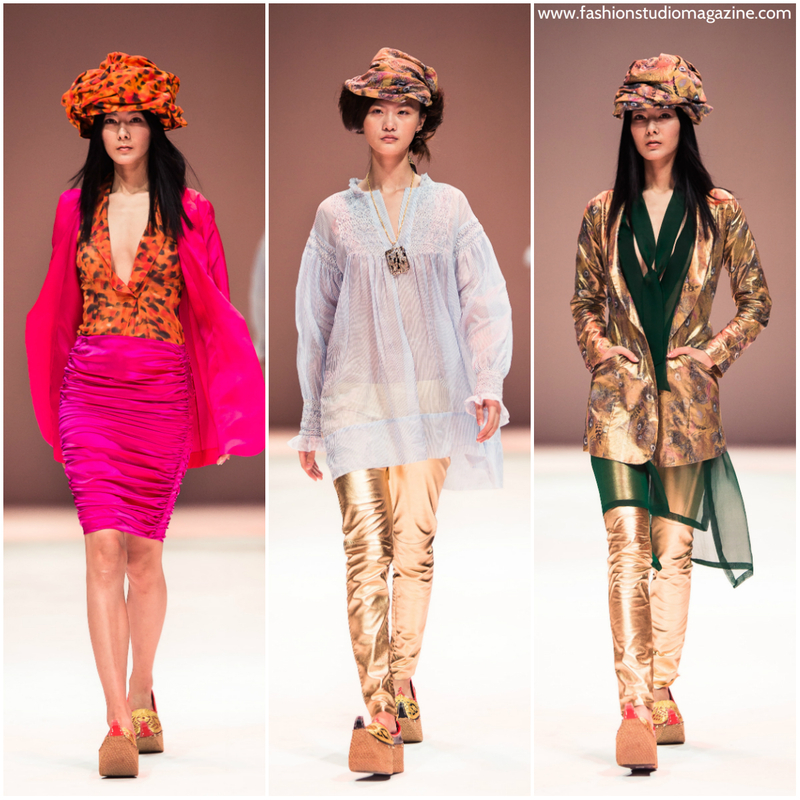 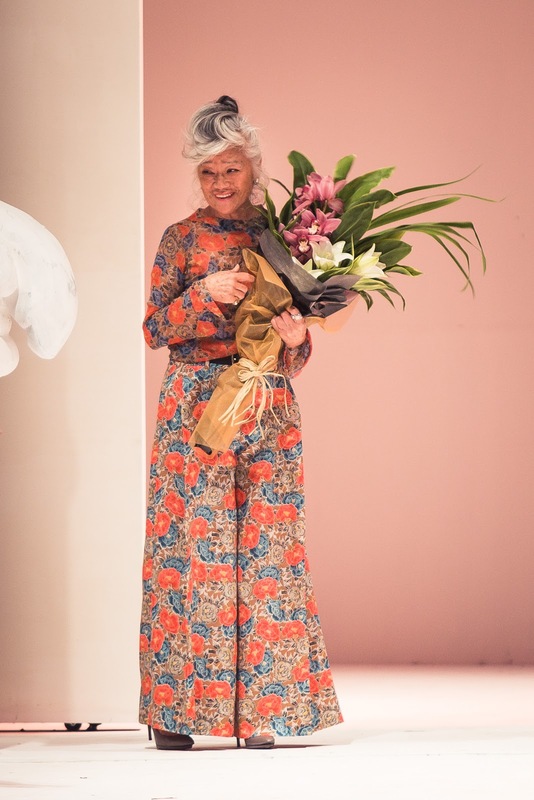 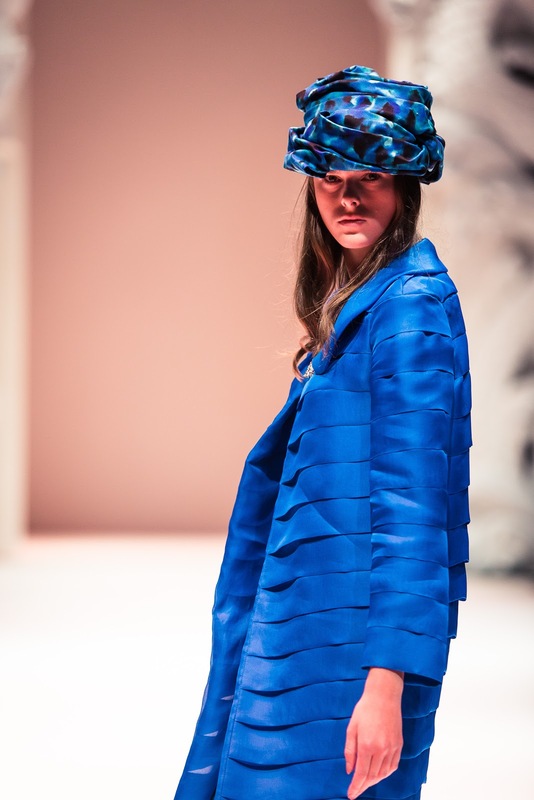 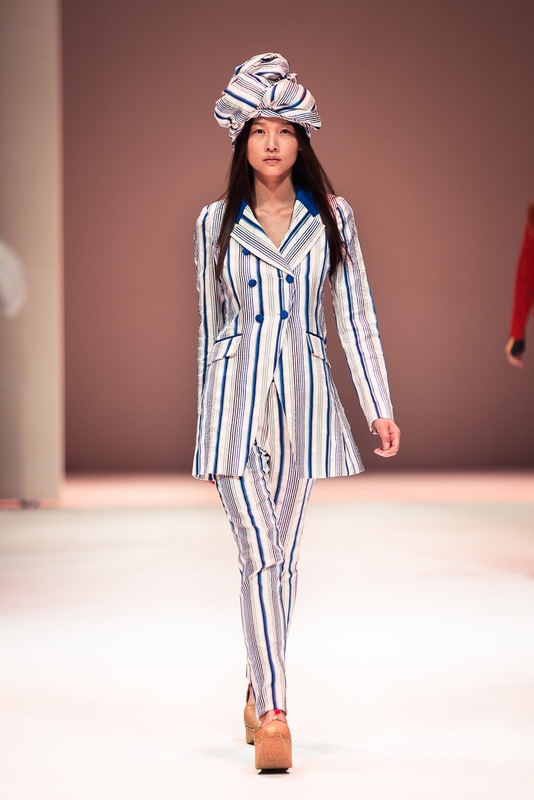 The collection featured bright colours (pink, cobalt blue, vermilion red and metallic shades), bold patterns and oriental headpieces. 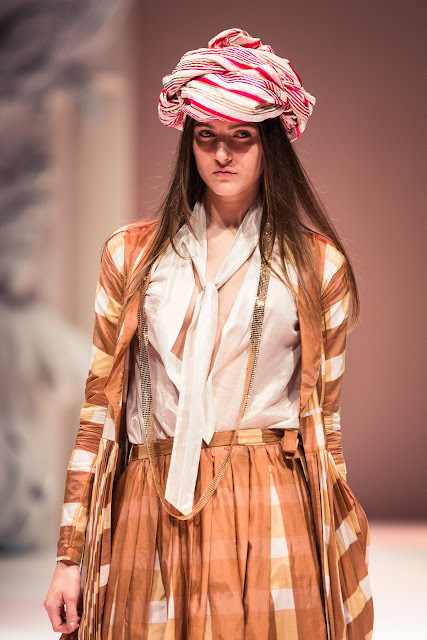 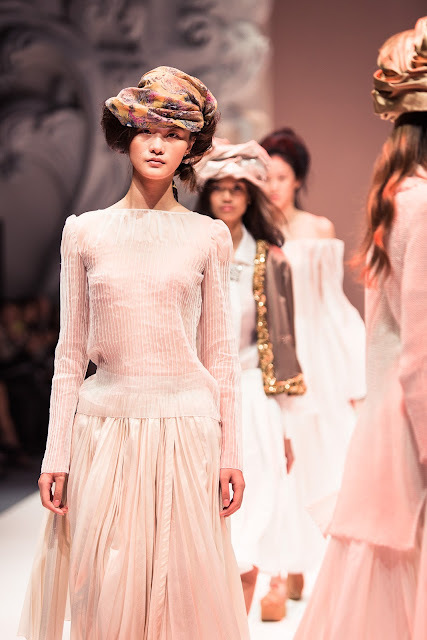 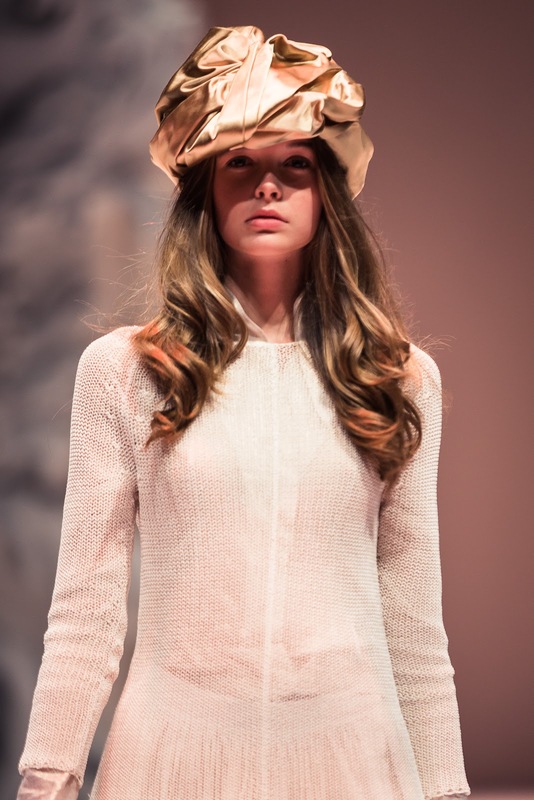 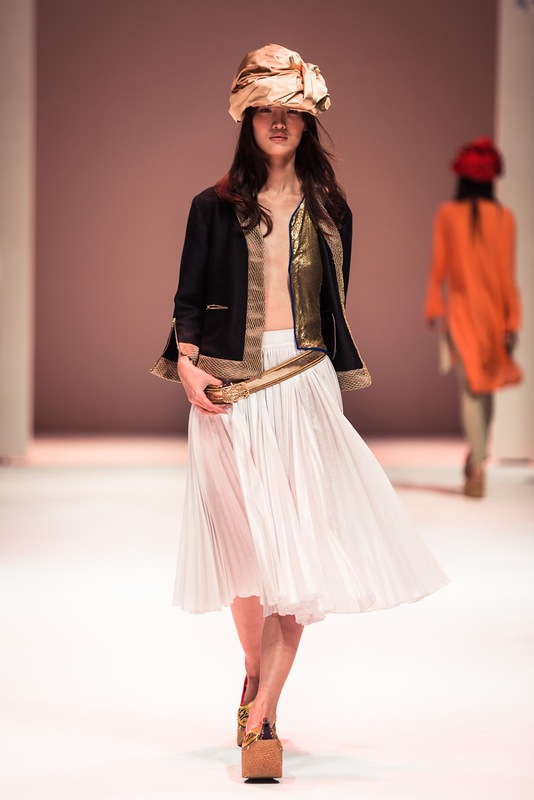 The designer took her inspiration from Eugene Delacroix painting which she interpreted in a modern way. 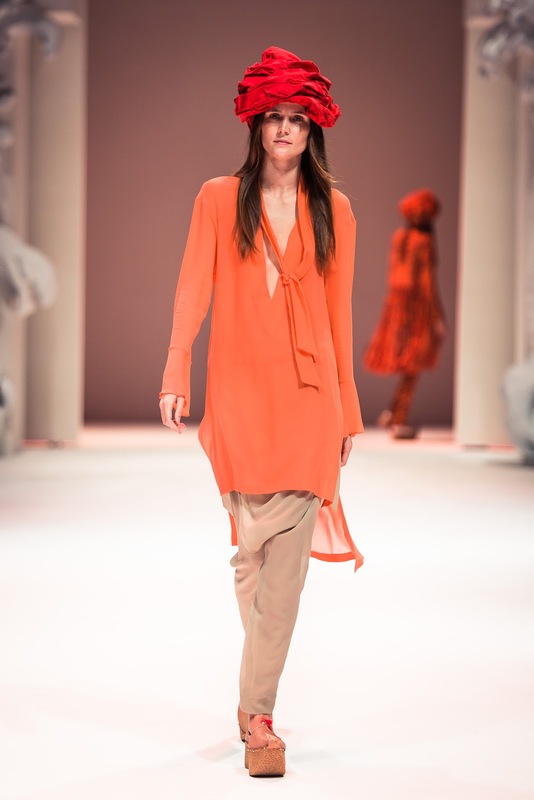 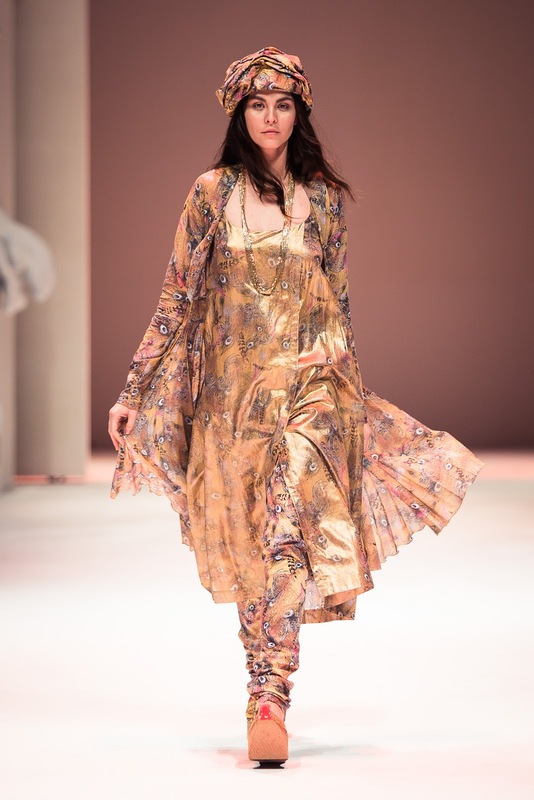 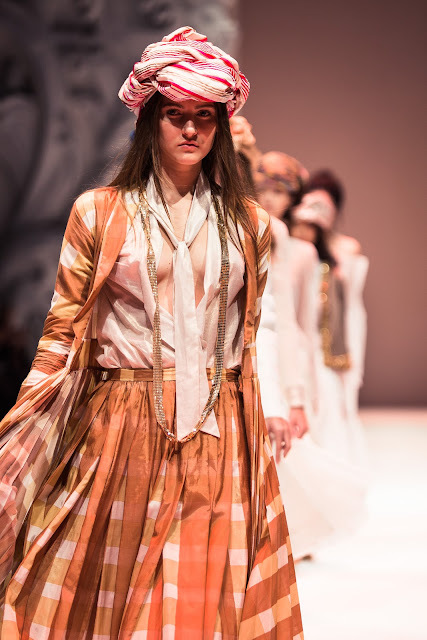 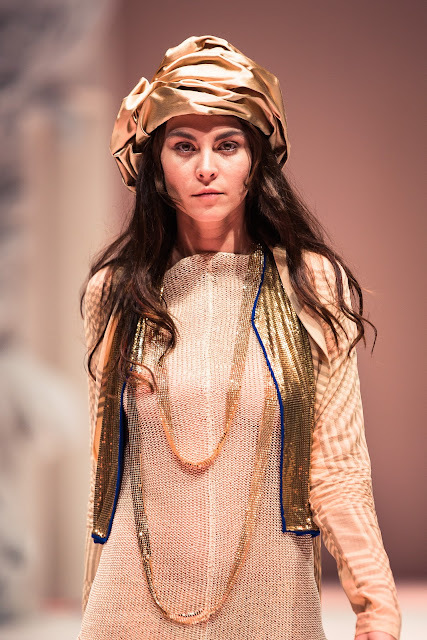 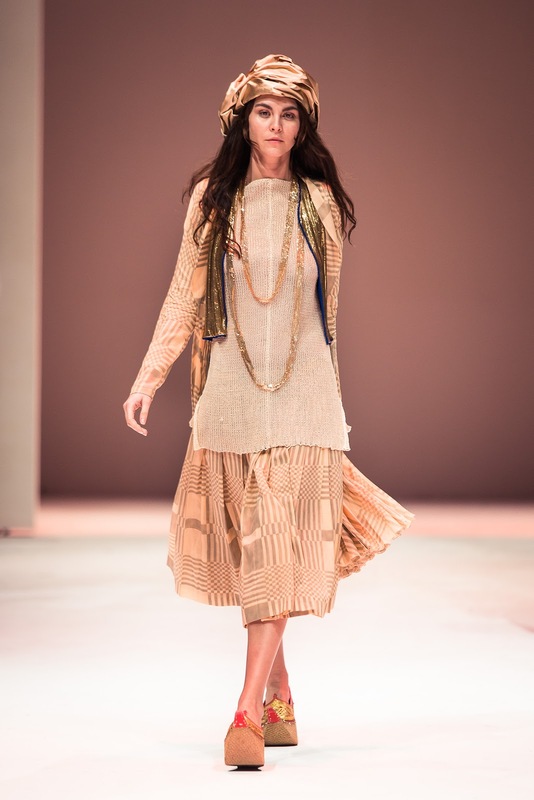 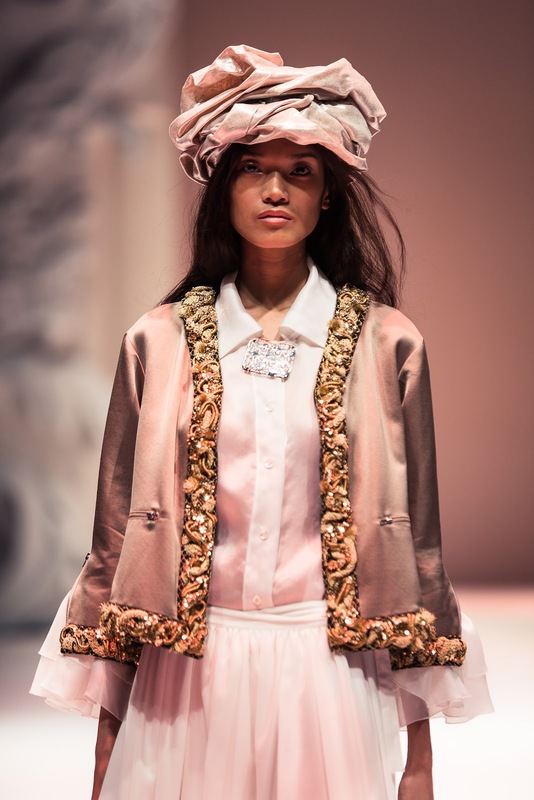 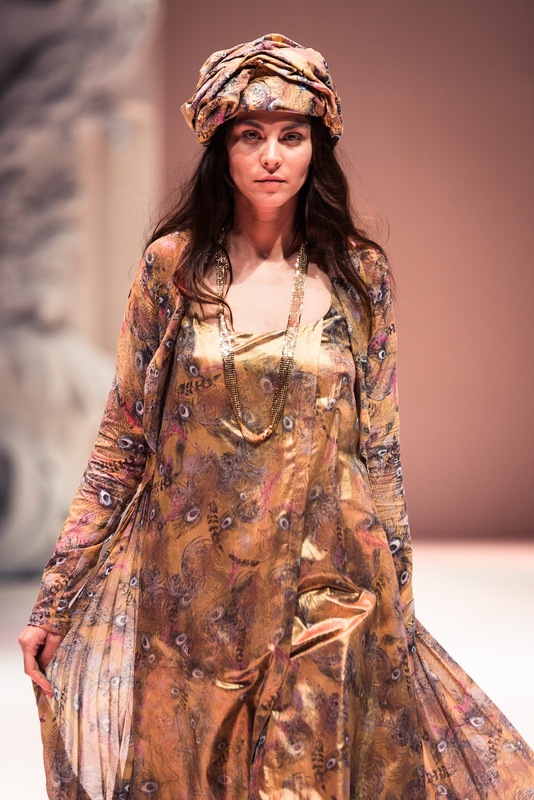 Pieces inspired by the Middle East - turbans, caftans and harem pants - were combined with sheer shirts, long dresses and modern tight-fitting skirts. 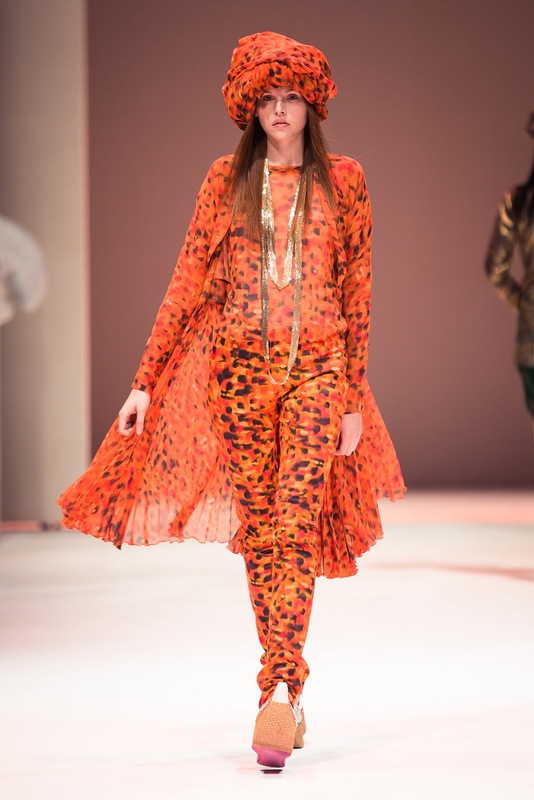 Beautiful and unique collection that is perfectly wearable, but never boring.